Russia continued its air campaign in Syria despite attacks on its personnel, facilities, and equipment while simultaneously claiming a partial withdrawal of its forces to please a domestic audience before the upcoming presidential election. Russia reported a partial withdrawal of its air assets in an effort to signal a military victory for Russian President Vladimir Putin in the runup to presidential election scheduled for March 18, 2018, but the draw-down is likely a ruse. Russian Defense Minister Sergey Shoigu announced on December 22, 2017, that a partial withdrawal from Syria ordered by Putin on December 10 was complete, ending more than two years of Russian involvement in the conflict. Shoigu reported that the withdrawal included 36 fixed-wing aircraft and four helicopter gunships - the vast majority of the air group operated by Russia in Syria. However, Russia previously has used false claims of withdrawal to rotate and redeploy new assets to Syria. Russia nonetheless maintained a constant tempo of airstrikes to protect its assets in western Syria and to support the regime in the east. Russia sustained its air campaign despite sophisticated attacks against its main airbase on the Syrian Coast. Unidentified opposition groups conducted two indirect fire attacks against the Bassel al Assad International Airport on December 27 and December 31, 2017, as well as a sophisticated attack on the airport with a drone swarm on January 6, 2018. The attacks, which reportedly damaged at least seven warplanes, highlighted the potential vulnerability of Russian aircraft in Syria. 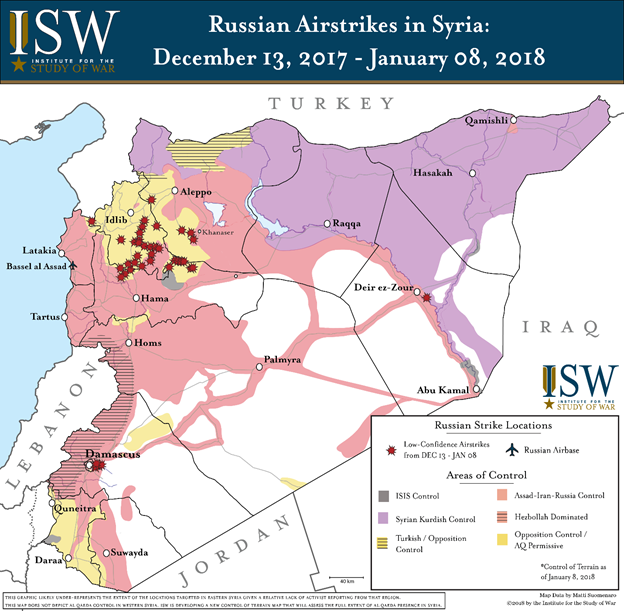 Russia conducted airstrikes against opposition-held areas in northeastern Hama Province between December 18 and December 27, 2017 that indirectly enabled further ISIS expansion in the region. Russia also targeted opposition supply lines and key urban centers on January 21 in support of an ongoing pro-regime offensive and seized the Abu Dhuhur Airbase in eastern Idlib Province. Russia leveraged its air campaign to strengthen Syrian President Bashar al Assad ahead of the Syrian Congress on National Dialogue hosted by Russia in Sochi on January 29 and 30. Russia intensified its air campaign on January 3 – January 7, 2018 in Damascus to buttress the position of Syrian President Bashar al Assad. Opposition forces successfully encircled a key regime armored vehicle base in the Eastern Ghouta suburbs of Damascus on December 31, 2017, inflicting heavy casualties on pro-regime forces and dealing an embarrassing setback to the regime in its capital. The Russian Air Force assisted in lifting the siege of the facility on January 7, 2018. Russia likely intended to strengthen the regime’s control over the capital and thereby bolster the position of Assad prior to the start of the Syrian Congress on National Dialogue hosted by Russia in Sochi. The preceding graphic depicts ISW's assessment of Russian airstrike locations based on reports from local Syrian activist networks, statements by Russian and Western officials, and documentation of Russian airstrikes through social media. This map represents locations targeted by Russia's air campaign, rather than the number of individual strikes or sorties. The graphic likely under-represents the extent of the locations targeted in Eastern Syria, owing to a relative lack of activist reporting from that region. High-Confidence Reporting. 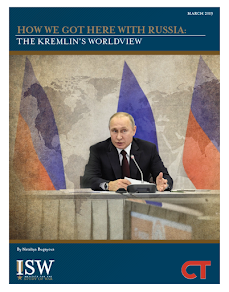 ISW places high confidence in reports corroborated by documentation from opposition factions and activist networks on the ground in Syria deemed to be credible that demonstrate a number of key indicators of Russian airstrikes. Low-Confidence Reporting. 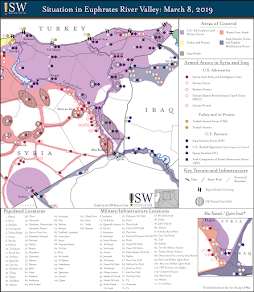 ISW places low confidence in reports corroborated only by multiple secondary sources, including from local Syrian activist networks deemed credible or Syrian state-run media.